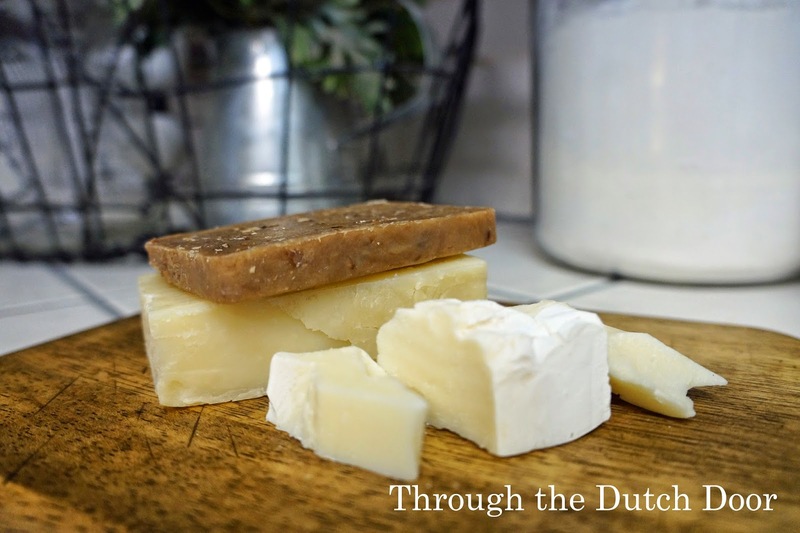 Through the Dutch Door: Why Handmade? It's soap made out of beer! What more could you ask for? The natural ingredients in beer are actually very good for your skin. Hops acts as an agent to soothe irritated skin and contains amino acids that are essential in softening skin. Polyphenals in the beer work as an anti bacterial and the sugars work up a great lather during washing. We make our soaps with all natural ingredients. We use plant based oils, water, beer, lye, fragrance oils and therapeutic grade essential oils. If fragrance oils are a concern to you, please inquire which soaps contain these oils. 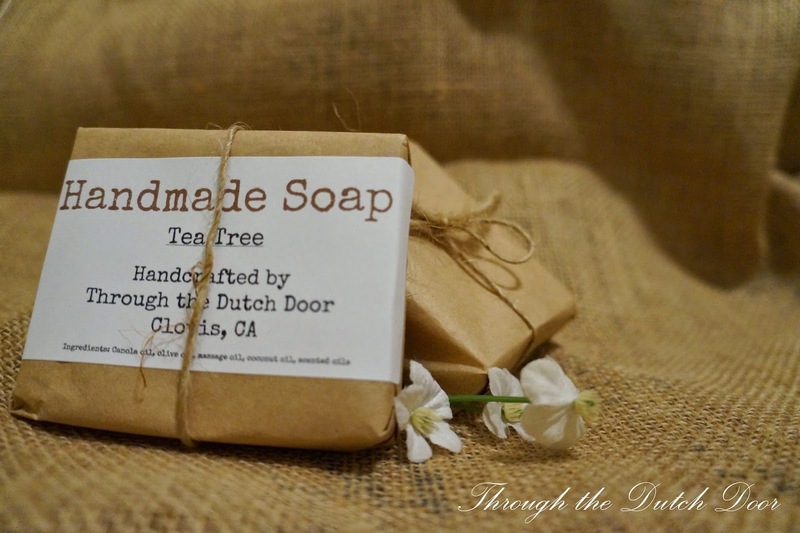 Hand made soaps are more moisturizing and better for your skin. Because our soaps do not contain any harsh chemicals or ingredients, they are better for your skin. The essential oils can help with various skin issues like rosacea, acne, eczema, and overly dry or sensitive skin. I make each and every one of my bars of soaps by hand, with love. You get 100% one on one customer service with me, the owner and crafter. There are no middle men. There are no sales teams who are worried only about quota. There are just my husband and I, working on building a family owned business who have your best interest at heart. We actually care about our customers and strive to create a product that you will love too! We never test on animals and remain 100% cruelty free. As the owner and crafter of Through the Dutch Door, I personally test each and every batch 24 hours after they are made. If it is gentle enough for me to use straight out of the mold, you can bet that I will trust you to use it on yourself, your children, and your pets after they are cured and wrapped. Each soap is cured for at least 3 weeks before listed for sale. They're fun and they make great gifts! Have you ever given a gift of a wrapped up bar of soap you bought in bulk at Costco? It probably wouldn't go over well! But you give a gift of a handmade bar of soap, lovingly and beautifully wrapped with natural embellishments, and you're going to show someone you care. Still not convinced? Check out these real facts below! Contains antioxidants that work as a cleanser, moisturizer, and protectant, anti-aging, neutralizes free radicals that damage skin, penetrates deeply into the skin which allows natural healing for eczema, psoriasis, and dry skin. Allows minimized appearance of stretch marks. Rich in Vitamins E and K, it helps moisturize skin, smooths tone and texture, antiaging, eradicates skin conditions and acne. Contains antioxidants that work against damaging free radicals, builds and repairs tissue, anti-inflammatory, reduces eczema, acne, dryness, protects against UV rays, helps skin maintain moisture, regenerates skin cells, eradicates acne bacteria, helps your skin maintain a youthful, smooth appearance, makes your skin less sensitive to free radicals. The ingredient that makes soap, soap. Alone it is highly caustic but during the saponification process, it is transformed into soap. It is the cleaning agent of the soap. Notice this highly important ingredient is missing from the above mentioned commercial soap. Thus making commercial soap not real soap, but a chemically modified version of soap.